866-448-3456Questions, custom quote, or order by phone. The world leader for pioneering innovation, state-of-the-art craftsmanship, durability and elegant design. 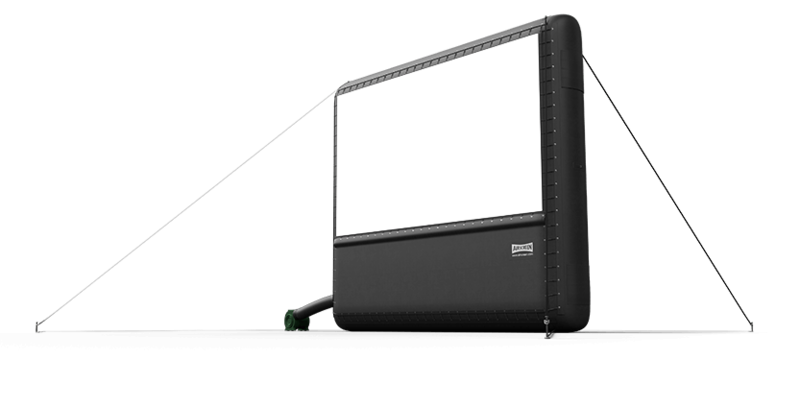 Portable movie screen, projection and sound at a reasonable price for almost any location. We don’t just sell movie screens and cinema packages, we rent and operate the industry’s most impressive projection and sound technology. Major cinema events, indoors and outdoors, equipped and operated by the industry’s most experienced and supportive engineering team. Rent or buy DCI-compliant projection equipment, or hire North America’s leading source for digital cinema professional services. Outdoor Movies is renowned for the quality and range of our inventory of screens, projection, and sound reinforcement systems. From setup to safety to storage, a vast range of options to combine live, remote and online instruction. Please contact me to discuss a custom quote We respect your privacy and we will never sell, rent, lease or give away your personal information. To correspond with me, I consent to Outdoor Movies collecting the personal data on this form as explained in the company's privacy and cookie policies. Made specifically to fit the QSC KS112 from padded weather-resistant heavy-duty Nylon/Cordura® to protect the subwoofer from dust and dents during transport or storage. Side pocket to store audio system accessories, and open slots for accessing the KS112 carry handles.